Editor’s Note: The following article is reprinted from Macworld UK. Visit Macworld UK’s blog page for the latest Mac news from across the Atlantic. 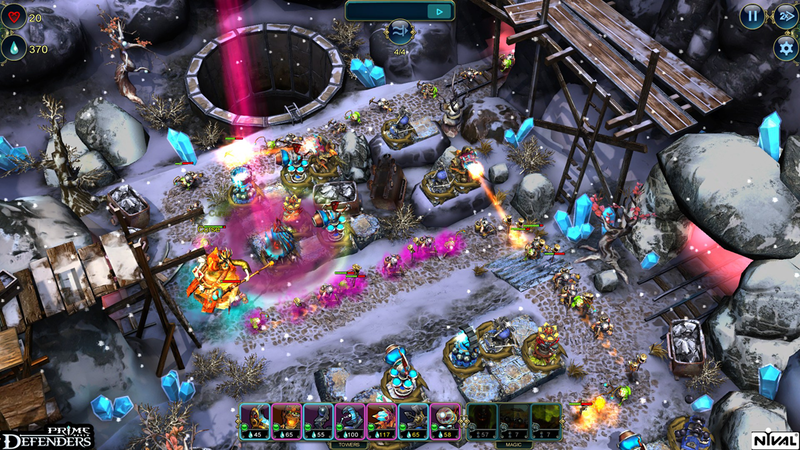 Prime World: Defenders is enjoyable fun, and if you ramp the speed settings up it can get pretty frantic at times. The game takes the tried-and-trusted tower defense formula and mixes it with elements of a collectible card game. The storyline is pretty flimsy; a mysterious substance called Prime can be used both to develop new technologies and to power magical spells. Prime is concentrated in an area called the Prime Zone that is also populated by goblin-like baddies called The Touched, so it’s your job to build defensive towers and lob in the occasional magical spell to keep the baddies at bay while you harvest as much Prime as you can. However, building towers and using magic also uses up Prime, so the winning strategy lies in building strong defenses while still hanging on to enough Prime to complete each mission. The game’s 3D graphics are neatly designed and colorful and remind me quite a bit of WarCraft, and the various levels are spread across a variety of different landscapes to keep things fresh. At the start of the game you’re equipped with just a couple of basic towers and a single magical spell, and the first mission acts as a tutorial that shows you how everything works and helps to get you started. As you complete missions and collect Prime you’ll gain cards that give you access to new types of towers that do more damage, perhaps hurling poison at your enemies or sticky goo that slows them down and makes it easier to pick them off. You can also learn a small number of powerful spells that can affect multiple enemies all at once, but these spells use up a lot of Prime and take a long time to recharge, so you can only use them as a last ditch defence. The basic mechanics of the game are simple enough, and Prime World Defenders is certainly suitable for young children. However, you can only hold a few cards in your deck at a time, so you do need to think carefully about the cards you want to use at the start of each mission. Adults who want more of a challenge can also increase the speed of the game so that the waves of enemies come swarming onto the screen more quickly and really force you to think on your feet. Prime World Defenders is good fun for both adults and younger players, but it feels like the sort of casual game that would work better sitting on the sofa with an iPad rather than sitting at a desk in front of your Mac. 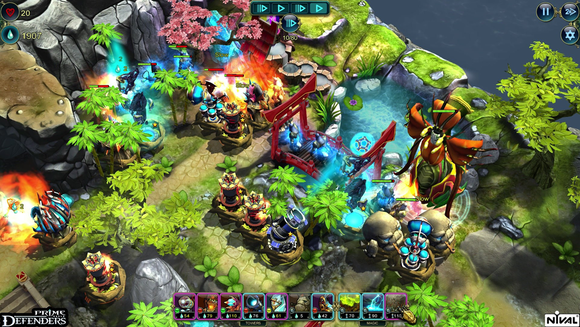 It could be a hit on the iPad, but it’s not an essential purchase for the Mac (it require use of the Steam online gaming service) unless you’re a really avid fan of tower-defense games. 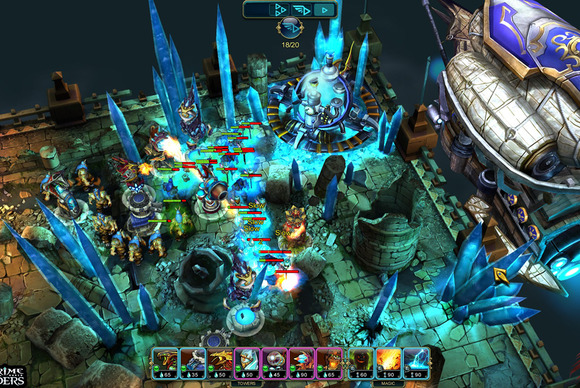 Prime World: Defenders is an enjoyable tower-defense game, but it feels like it would be better suited on the iPad than on the Mac.